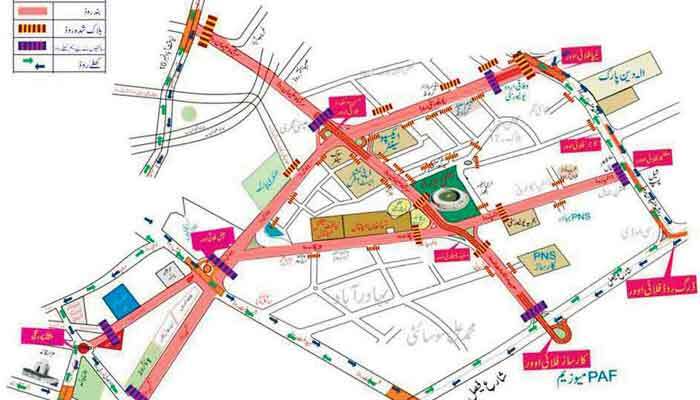 KARACHI: With the final match of the Pakistan Super League (PSL) being played today at the National Stadium in Karachi, the Traffic Police have released the traffic diversion and security plan to inform the public and save them from any inconvenience. To park their vehicles at the designated parking spaces, spectators would be required to show their original ticket for the March 25 final and their National Identity Card. The ground next to the Hakeem Saeed Park, the Urdu University Ground and the Itwaar Bazaar Ground near the Baitul Mukarram Masjid on University Road, Football ground on Dalmia Road have been designated as parking spaces. The spectators in the Central and West districts coming from Liaquatabad No 10 should come to Hassan Square and take a left turn on the University Road to park their vehicles, following which they would be transported to the Expo Centre on shuttle buses. The spectators in the Malir and East districts coming from Safoora should come to Nipa, and those coming from Sohrab Goth should come to Gulshan Chowrangi, then turn left on University Road and take the AG Sindh U-turn to park their vehicles, following which they would get on shuttle buses. The spectators in the Malir and East districts coming from Drigh Road via Sharea Faisal should take a right turn on Rashid Minhas Road and then a left at the Millennium Mall to park their vehicles at the Dalmia Football ground, following which they would be transported to the Bahria University on Stadium Road via shuttle buses. The spectators in the South, City, West and Korangi districts coming via Sharea Faisal should proceed up to Shahrah-e-Quaideen, Allah Wali Chowrangi, Society Light Signal, and take a right turn on Kashmir Road to park their vehicles, following which they would be transported to the Fatima Jinnah College on shuttle buses. Any type of traffic coming from Nursery would not be allowed to proceed to the National Stadium via Habib Ibrahim Rehmatullah Road. They would be diverted towards Drigh Road, Sharea Faisal, to take a left turn on Rashid Minhas Road and proceed from Millennium to Nipa. Any type of traffic coming from Airport would not be allowed to proceed to Karsaz. They should use Drigh Road, Sharea Faisal, to take a right turn on Rashid Minhas Road and proceed from Millennium to Nipa or continue on Drigh Road towards Karsaz, Nursery, etc. Any type of traffic coming from Rashid Minhas Road would not be allowed to proceed to the stadium via Dalmia Road. They would be diverted from Nipa to Drigh Road, Sharea Faisal, and from Sharea Faisal to Nipa. Any type of traffic would not be allowed to proceed from Nipa to Peoples Chowrangi. They would be diverted from Safoora, Nipa, left on Rashid Minhas Road, Millennium, Drigh Road to Sharea Faisal or NIPA, University Road, U- turn under Nipa Bridge, left at Gulshan Chowrangi to Sohrab Goth. Any type of traffic would not be allowed to proceed from Peoples Chowrangi to Nipa. They would be diverted from Shahrah-e-Quaideen to Mazar-e-Quaid or the Khudadad Colony Flyover ramp, then left turn to Saddar. Similarly, Guru Mandir Chowrangi, Peoples Chowrangi, right turn towards Saddar or Peoples Chowrangi to Ayesha Aziz Chowrangi, right turn to Shahrah-e-Quaideen. Any type of traffic would not be allowed to proceed to Kashmir Road from Ayesha Aziz Chowrangi up to the Jail Flyover. They would be diverted from Shahrah-e-Quaideen to Mazar-e-Quaid or the Khudadad Colony Flyover ramp, then left turn to Saddar. Similarly, Guru Mandir Chowrangi, Peoples Chowrangi, right turn towards Saddar or Peoples Chowrangi to Ayesha Aziz Chowrangi, right turn to Shahrah-e-Quaideen. The Jail Flyover at Shaheed-e-Millat Road would be functional for vehicular traffic, but the down ramp towards the New Town police station and Hassan Square would be completely closed. Any type of traffic coming from Teen Hatti or Jamshed Road would not be allowed to proceed towards University Road. They would be diverted from the main gate of the central prison back towards Jamshed Road or Teen Hatti. Any type of traffic coming at Sir Shah Suleman Road would not be allowed to proceed to Liaquatabad No 10 towards the National Stadium. They would be diverted from Liaquatabad No 10, left turn to Karimabad, Ayesha Manzil, or right turn to Daak Khana, Teen Hatti. 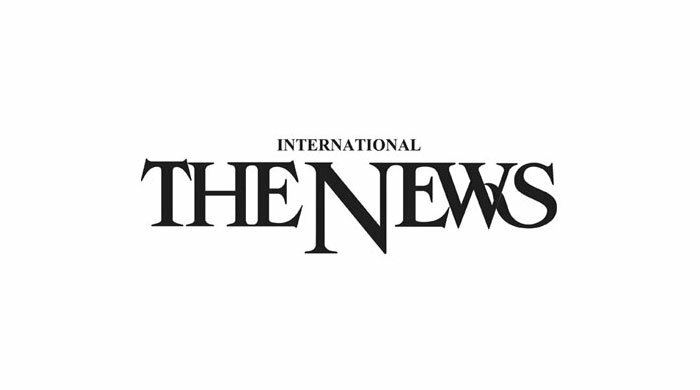 The commuters could use both sides of the Lyari Expressway from Mirza Adam Khan Chowk, Mauripur Road up to Sohrab Goth. No heavy vehicle would be allowed to proceed from Sohrab Goth to Nipa, Liaquatabad No 10 to Hassan Square, Peoples Chowrangi towards University Road. To avoid any inconvenience, the traffic police has requested park vehicles at the designated parking spaces instead of on service roads and thoroughfares. The traffic police has also requested that in case of any inconvenience, their Helpline Rahnuma can be contacted at 1915, at which the relevant staff is available for assistance. They also request that everyone follow their social media accounts, WhatsApp them at 0305-9266907, tune in to the Sindh police FM radio 88.6 and visit their page atfacebook.com/karachitrafficpolice for updated information.